Stromberg offers a sizeable selection of glass fiber reinforced concrete sculptures with lots of materials and finishes to choose from. They have everything you need to make the right sculpture choice for your home or office and a team of experts with 30 years of experience to help make it happen. Abstract, classical, monumental, even western sculptures are among the collection of work Stromberg offers. Any of their distinctive sculptures for your home, garden or office can be made in GFRC to mimic natural stone, wood, terra cotta and a number of stylish colors and finishes as well. Cathedrals, theaters, resorts and even government buildings around the world have commissioned Stromberg sculptures to grace their establishments. GFRC sculptures can draw inspiration from many sources, yet be difficult to perfectly replicate. However, with the use of GFRC, your finished sculpture can closely resemble any subject you choose. Animal and wildlife sculptures crafted in Stromberg GFRC are attention grabbers in your home’s entryway or out in the garden. Figurative and memorial sculptures, such as Jesus and the Virgin Mary, are popular ways to remember loved ones. 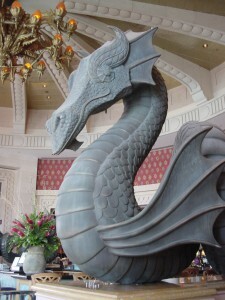 Western sculptures can be used in restaurants, theme parks or as an interesting work of art for your home. All Stromberg GFRC sculptures will stand up to any and all weather conditions, while beautifying any area you choose. The design experts at Stromberg Architectural can customize a distinctive GFRC sculptures for you that can spark conversations, be a focal point or a subtle enhancement to an already tasteful décor. Let your design dreams begin at Stromberg. Stromberg GFRC offers you amazing design flexibility. Glass fiber reinforced concrete is a fire-resistant material and will even protect the materials behind it from the heat of a flame. Intricate details and custom finishes, textures and colors are no problem with GFRC; all you have to do is make your design ideas known to the experts at Stromberg and they will take care of the rest. GFRC by Stromberg is very lightweight making the installation of your sculpture quick and easy, no matter what size it may be. Glass fiber reinforced concrete is made from minerals and is in keeping with Stromberg’s commitment to the environment. Stromberg Architectural promises to work with you every step of the way until your GFRC sculpture is completed to your satisfaction. Stromberg experts will assist with CAD details and all design specifications. Call them today at 903-454-0904 for your free quote, or email them. Experience the Stromberg expertise by way of 30 years of experience.